School Loop Groups allow users to collaborate and share information. With groups you can plan and implement projects, carry on discussions, and share resources. Group membership may consist of any teacher or staff member in the school. For School Loop Plus, students and parents may also be made members of a local school group (District-wide groups are for staff only). There are two types of groups - Standard and Curriculum. Standard groups are useful for just about any type of group such as extra curricular activities, special interest groups, departments, and parent organizations. Curriculum groups are specifically designed for schools to create units, lessons, and assignments and then share these documents with teaches who in turn can make the available to students and parents. When a member posts an event or news for the group, it appears on every member's Portal Page as well as on the group homepage or the Announcements tab of Curriculum Groups. In using School Loop for the school's website, members may request that group news and events be added to the school’s homepage calendar. These requests must be approved by the school webmaster. 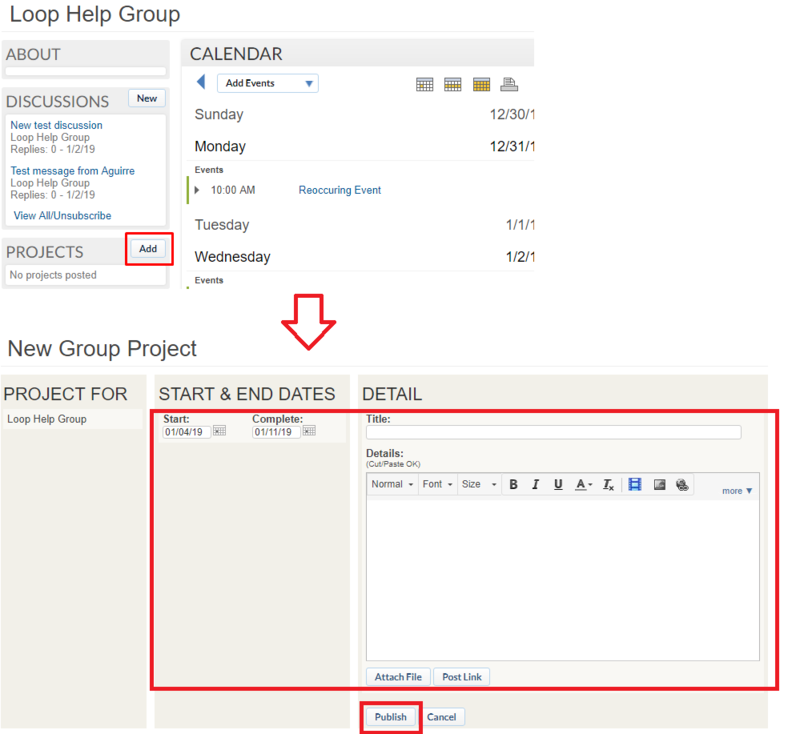 Group members can post news and events by clicking the Add News or Add Event button. A group project can be started by any member of the group. Projects are essentially a special type of discussion with a start and end date. Projects can be used to create an organizational structure for groups when tackling large topics, such as WASC or textbook adoption. To create a project, just click Add in the Project section and fill in the details. Group projects are listed on each member’s portal homepage. 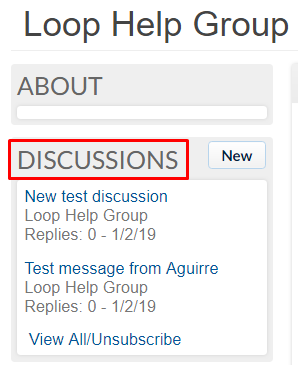 All Group discussion threads appear in the Discussion area of each member’s portal. All members of the group may read and reply to any or all group discussions. All members of the group receive an email message with each new discussion post or reply to a post unless they opt out of email replies for that groups’ discussions. Members may opt out of email replies from the group homepage by clicking the View All button in the discussion section. Learn more about School Loop Discussions. Like all School Loop lockers, files and links may be stored and organized into folders. The group locker is for the mutual benefit of all its members who may upload and access all resources in the locker. To add resources to the group locker, use the Add button and then choose to add a file, link, or folder from the drop menu. This link opens a new message form with all group members automatically added to the BCC field. This feature is available to teachers, staff, principals, assistant principals, and sys admins. Note: The Send LoopMail to Group option is not available on District-wide groups.